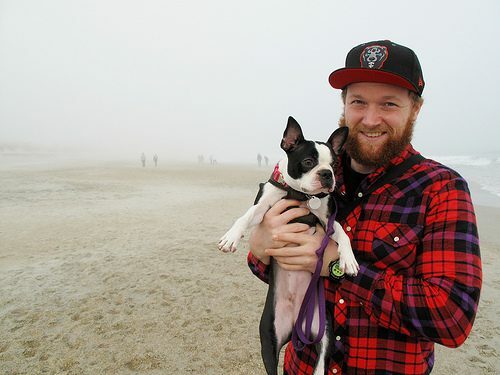 Pixel and me on Wrightsville Beach today. 70 degrees, chest + high surf and a nice overcasty fog rolling in. Really beautiful.